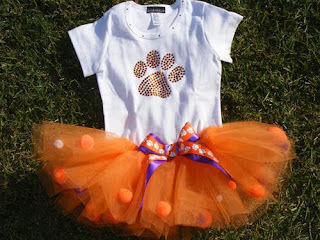 Clemson Girl: Cutie Pa Tutu Giveaway Winner! Cutie Pa Tutu Giveaway Winner! Alright ladies...earlier today we introduced you to a brand new Clemson Girl favorite, Clemson alum owned and operated Cutie Pa Tutus! Cutie Pa Tutus sells adorable tutus and superhero capes for your little ones. They recently started a Team Spirit line that of course features orange and purple attire! Today one lucky winner will receive an orange and purple Team Orange tutu or an adorable Team Orange Onesie - winner's choice! Congrats Margaret! Please contact us by email (clemsongirlblog@gmail.com) to claim your prize... you have 48 hours to claim your prize or we will draw a new winner. 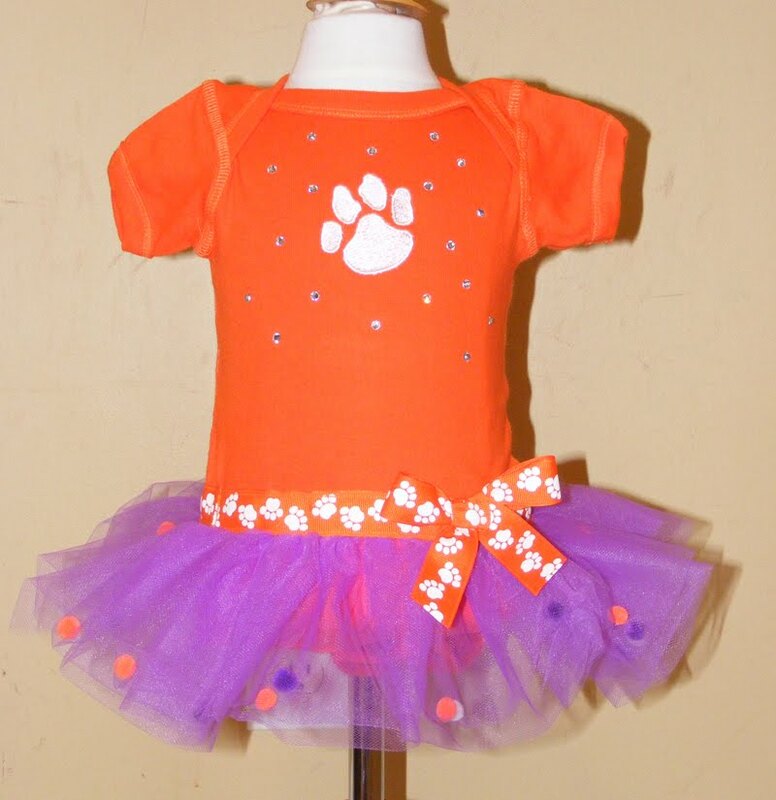 Thanks to Cutie Pa Tutus for sponsoring today's giveaway - if you didn't win, don't worry, you can still shop Cutie Pa Tutus online and get 15% off of your total purchase when you use coupon code clemsongirl2010.